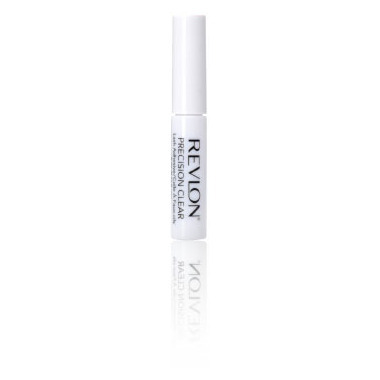 Knock your false lashes game out of the park with Revlon Precision Lash Adhesive! The best lash adhesive on the market! Lashes stay put all day and the thin brush makes application of this product easy. Love this lash glue. It stays on all day and is water resistant. Love that it's clear. Great glue. I was having a hard time looking for this lash glue in stores but so happy that I found it here. My fav lash glue and because of the thin brush, its so easy to apply. Highly recommend it. I love this lash glue. I find Duo glue way too watery for me, but with this glue, my lashes stay on all day! Highly recommend. This is my favourite lash adhesive. I don't like the ones in the squeeze tubes. It's easy to apply and it holds well. Sometimes it dries a bit iridescent, I just put black liquid liner over it. This is the only eyelash glue that works for me and doesn't irritate my eyes. When my local store stopped selling it I did a search to find out where I could buy it. That's when I found this awesome website well.ca and I will be ordering it here from now on. And I am now purchasing all of my products here. Thanks well.ca! So glad to have found your site! This is the best eyelash glue on the market- and I've tried them all! Lasts all day and easy to apply. Walmart has been out of this glue for months and it's the only one im not alergic to! So happy i finally found it here, not to mention they've got super fast shipping!